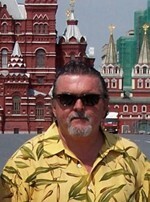 PJ Wilcox is an author focusing on international subterfuge and related military and covert operations. Previously, he was an entrepreneur involved with communications for mobile command posts in regions of high conflict. He worked around the World Bank, UN peacekeeping forces and heads of state, along with different intelligence communities and commercial businesses. PJ Wilcox’s first book to be released, Unsealed: Nuke Road, www.unsealednukeroad.com, is a novel drawn from his experiences and contacts, with former double agent, David M. Dastych, as a Contributor and Advisor. Stuxnet - The Trojan Horse. A Noble Weapon?